You're going to notice a lot of food stalls in Ed & Rachel's top 10 favourites... But there's a good reason why, the food is incredible. 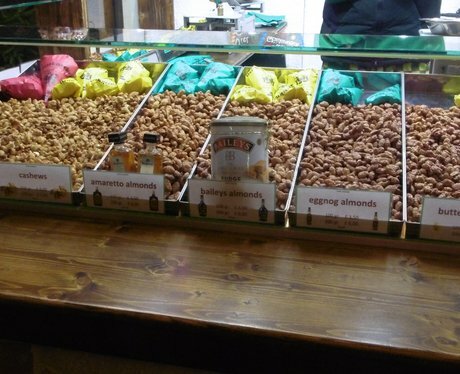 This stall has every kind of nut, covered in all sorts of different sauces and Rachel's favourite has to be the Nutella covered almonds. You will always see her with a bag of these when she's down at the Christmas Market. You know Christmas is on the way when you're sharing a big bag of warm nuts!